Sheer Mineral UV Defense SPF 50 offers breakthrough formulation technology in mineral sunscreens: a first-to-market transparent, mattifying, paraben-free SPF 50 fluid. Employing all-mineral broad-spectrum filters, SkinCeuticals fills a void in the sunscreen market by providing high UVA and UVB protection in a lightweight, ultra-sheer texture for all skin types, even very sensitive. The photoprotection of trusted broad-spectrum mineral filters is enhanced by Artemia Salina, a plankton extract that increases the skin’s defenses to heat and UV stress. This silky sheer fluid spreads evenly and dries quickly, leaving skin bare and soothed. 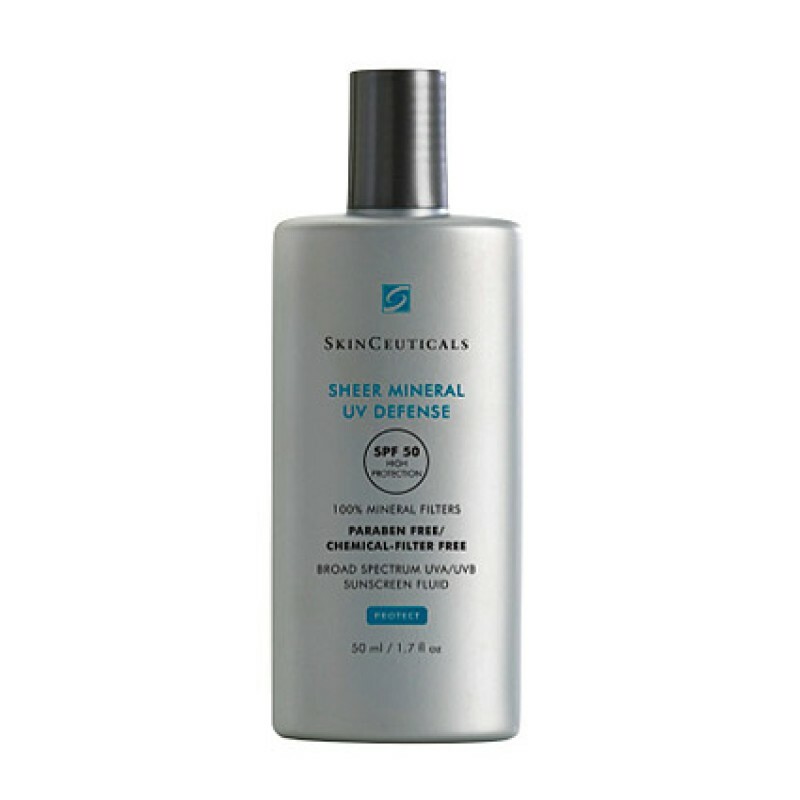 Review "Sheer Mineral UV Defense SPF50 50ml"